After WarLegend Group Frame and WarLegend Raid Frame I was asked to have an entire UI that matches those AddOns. Lots of things coming next week! Can someone please Update this awesome Addon ? I would like to, but i don't fully understand LUA, and if i'm not wrong, the API changed a lot since 2014. 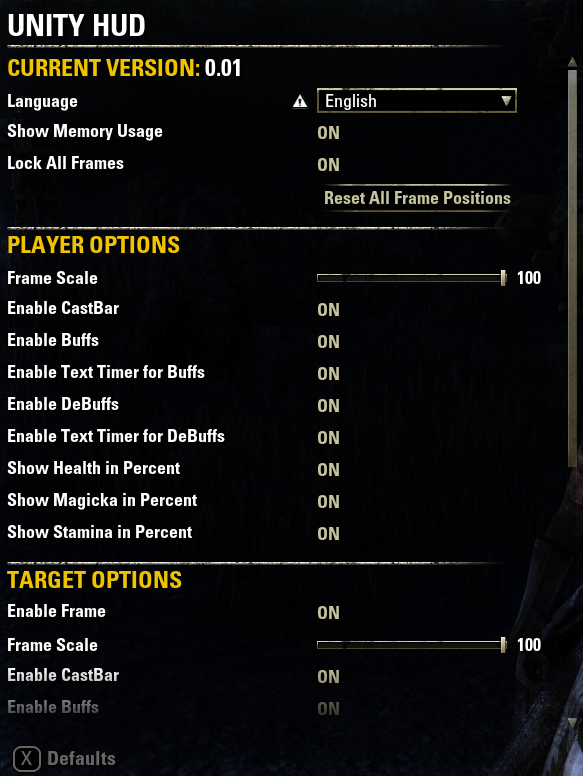 Target magicka and stamina not showing. 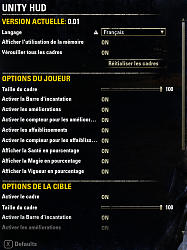 I am new to ESO. I apologise if this has already been discussed, I couldn't see a similar post. 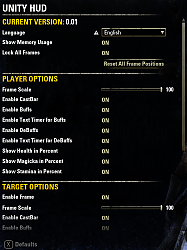 When I downloaded this addon I thought I saw mention of frames for the target's magicka and stamina, however I have no options for these in the settings and they do not appear on my UI. Am I missing something? Also, the images I have seen also show the target's target, if that is a feature then that is not showing up either. 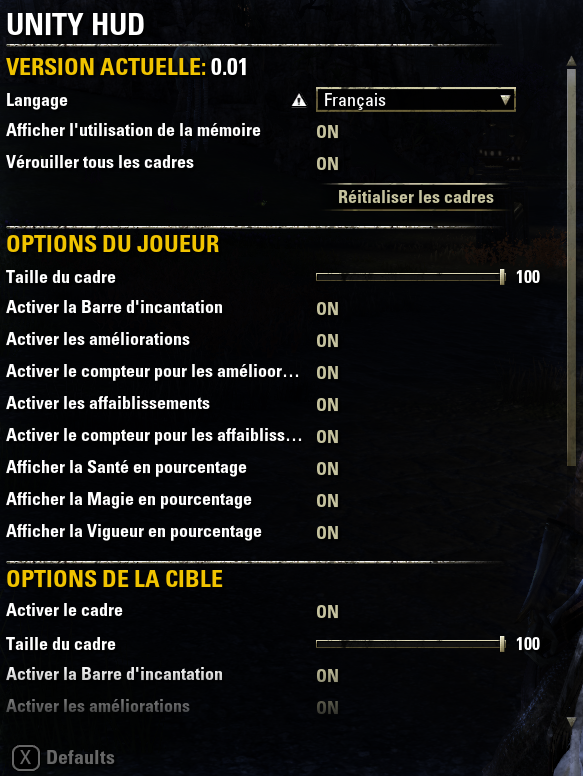 une mise a jour prévu suite au dernier patch? Hi. Can you improve the section of "Shields in Number" ?! We need to know every single Shield value, not just one unique number. I use 3 type of shields. I like the idea of see 3 single number for each one shield on me. Why? Because i need to know when the first 2 Shields is broken,and when teleport away,before "Healing Ward" take damage, or i don't get the Heal at the end of Healing Ward. Is it possible? or can you track only one unique "Shield Value" ? Hi I have a little problem with target HUD part : it doesn't work ! But FTC target change works ... why ? Go into settings and click the preview button. It's set backwards. Had the same issue until I clicked that. I really prefer the customizations of your addon. But without buffs/debuffs, I have to go back to FTC. Last edited by Occanum : 05/01/14 at 06:20 AM. I really like the layout and design of this addon but being able to monitor short term buffs/debuffs is too important of a feature to not have. 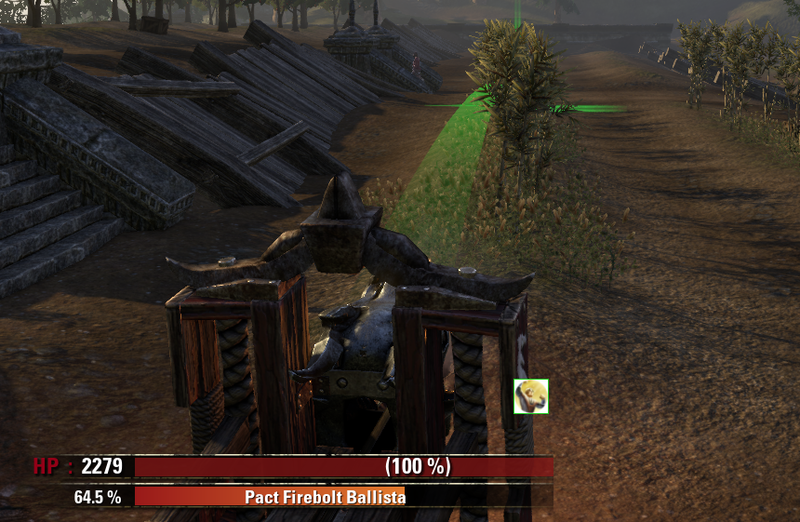 Its the only thing keeping me from using War Legend HUD. so what are you using for buffs/debuffs? Why did you remove the buff system? Last edited by Faustus : 04/28/14 at 12:46 AM.